Kick up the flavor of any popular snack food with this creamy and cheesy Carnival King cheddar cheese sauce! Your patrons will love dunking their concession stand nachos or fries into this smooth and cheesy sauce! 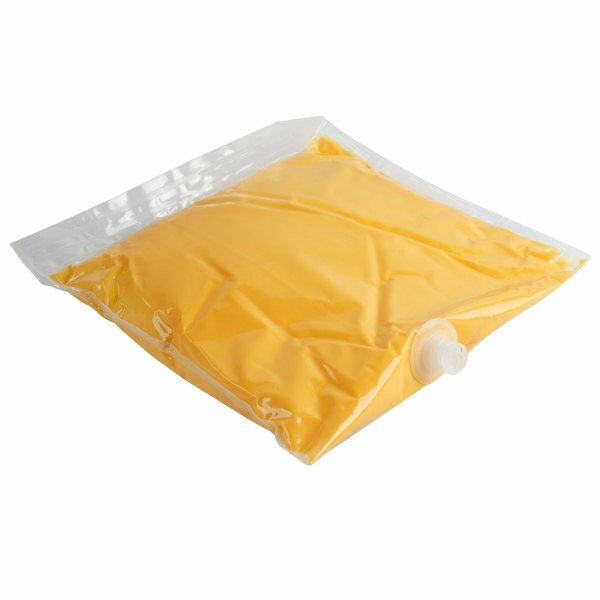 Featuring the sharp taste of fresh cheddar cheese, the smooth consistency and appealing yellow-orange color of this cheese sauce is sure to enhance the texture, taste, and appearance of your customers' favorite concession stand fare. Whichever way it's used, trust Carnival King to quickly boost your profits and enhance your snacks and other dishes with great taste! 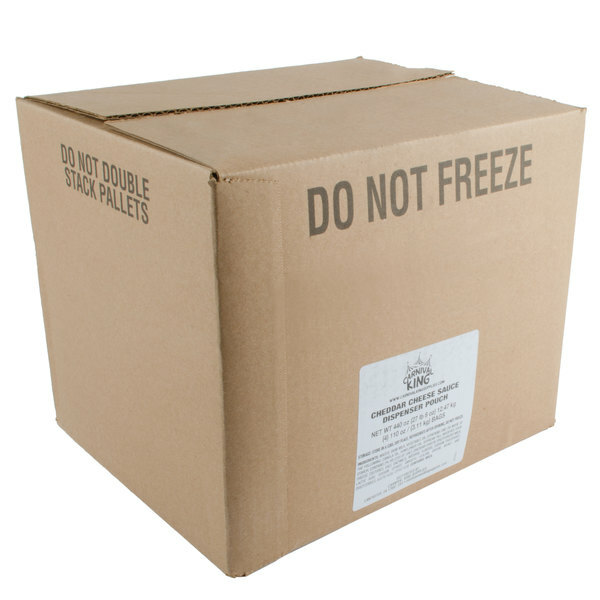 "A great bag of cheddar cheese sauce that warms up great in our crock pot. The Carnival King sauce is a great price and tastes wonderful. Great for nacho chips." Great for chili dogs, this cheese sauce can also be used when preparing crowd-pleasing Mexican recipes like enchiladas and burritos. Pour this sauce over nachos and serve with ground beef, peppers, and tomatoes for colorful and flavorful loaded nachos. You can even use it to whip up batches of deliciously creamy macaroni and cheese and other pasta dishes. 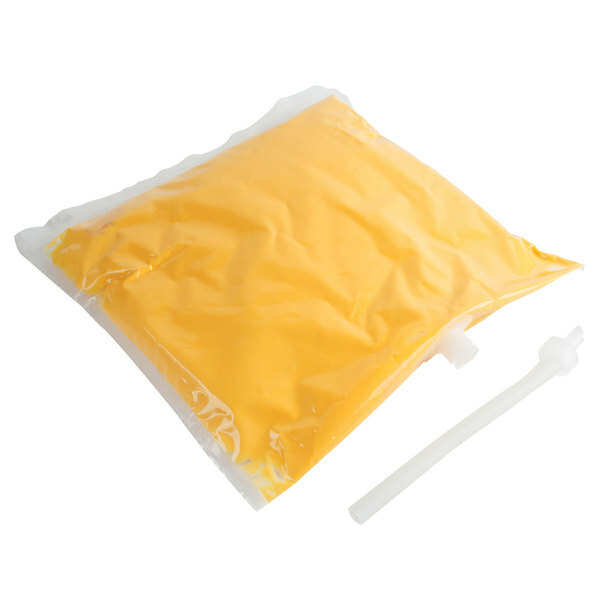 This Carnival King cheddar cheese sauce bag comes with four connecting tubes that can attach to a cheese sauce dispenser (sold separately). Using a cheese sauce dispenser limits wasted product, which ultimately saves you money. 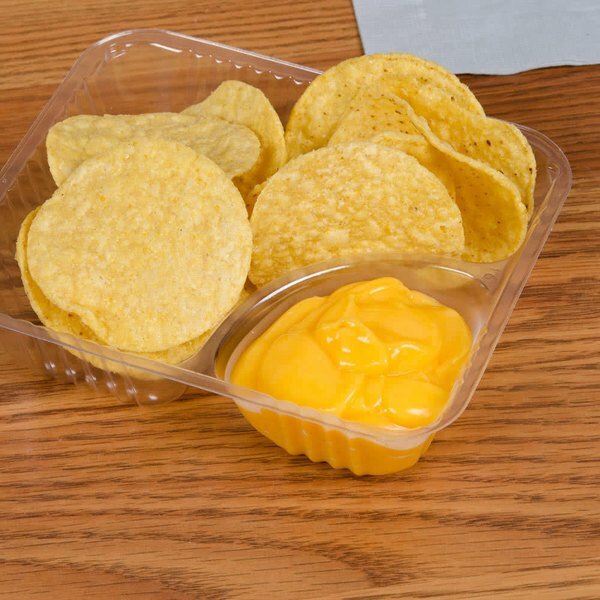 Since it's easy to dispense cheese sauce, you can begin adding creamy cheese to your crispy nacho chips and cheese fries with little effort. A great bag of cheddar cheese sauce that warms up great in our crock pot. The Carnival King sauce is a great price and tastes wonderful. Great for nacho chips. This fits into our Ortega Nacho machine even though it is a different brand. That being said I do not like the flavor as well as the Ortega brand. Carnival king cheddar cheese sauce has a delicious taste. We use for fundraising events & I have tried a lot of other cheeses & this is one of the best. Easy to use. We cut the corner of the pouch and put the cheese into a crockpot for use. Delicious. Our customer's ask for more.